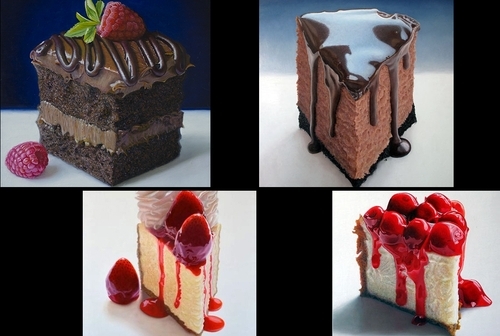 Food Art that is going to make you want to run to the nearest patisserie. 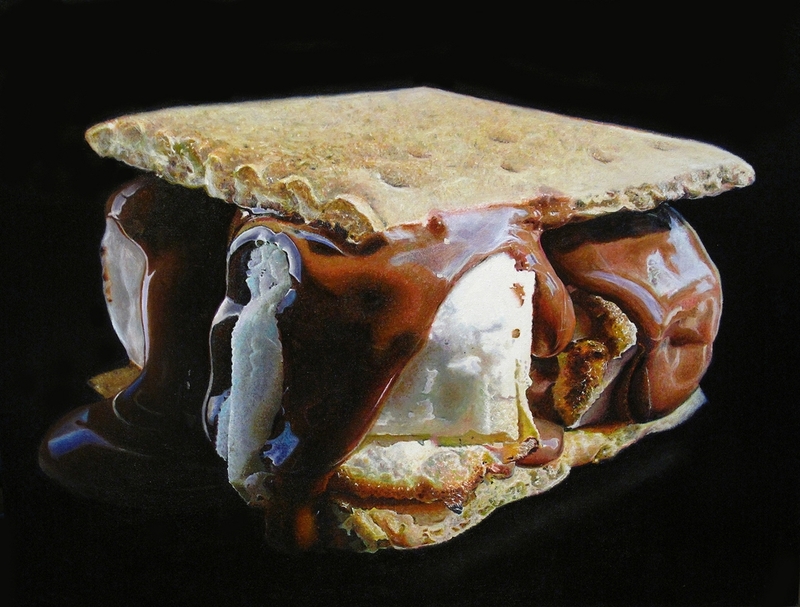 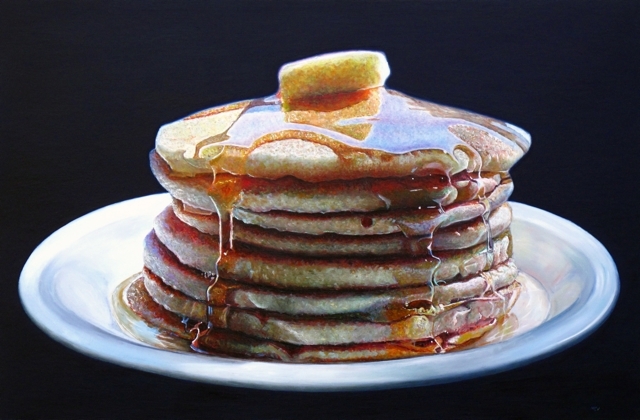 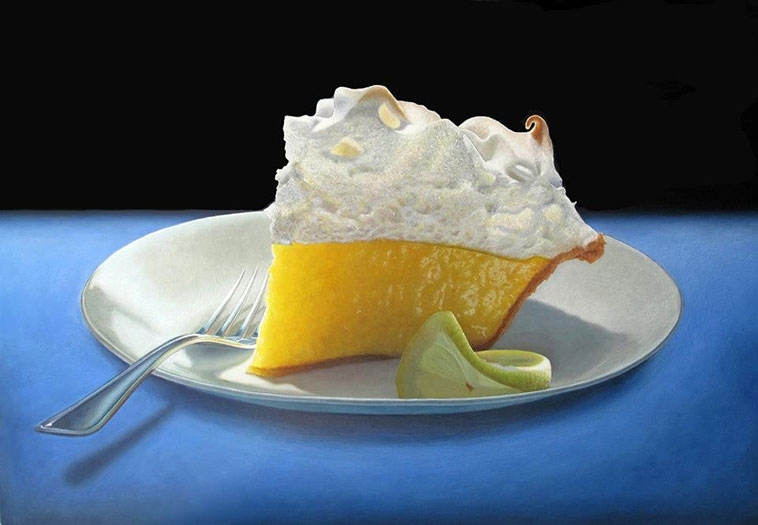 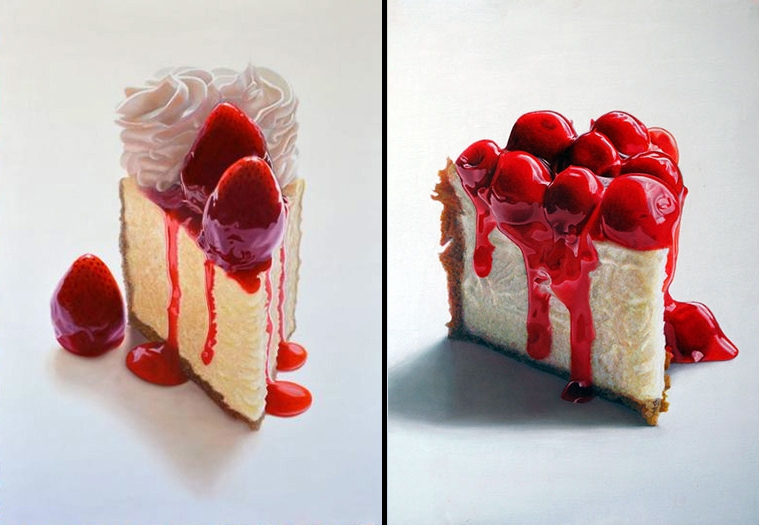 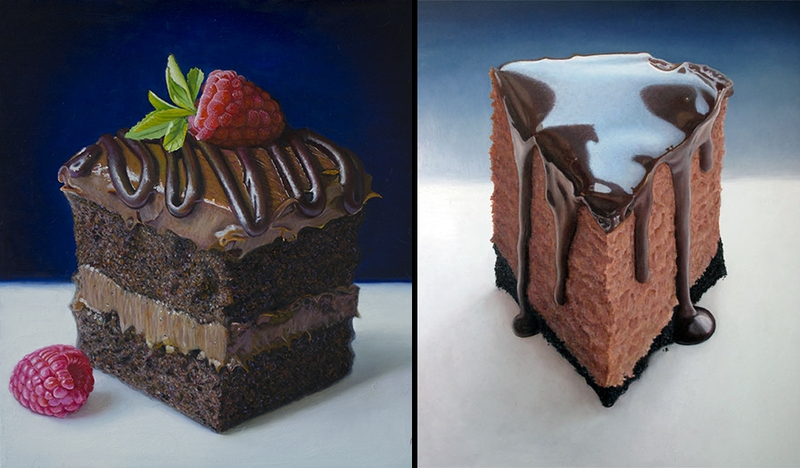 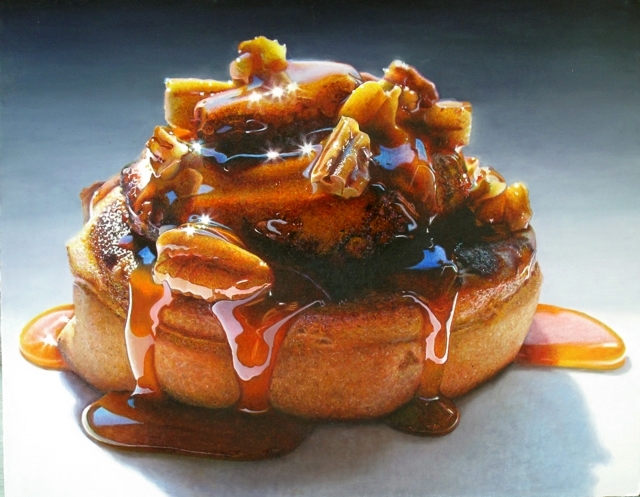 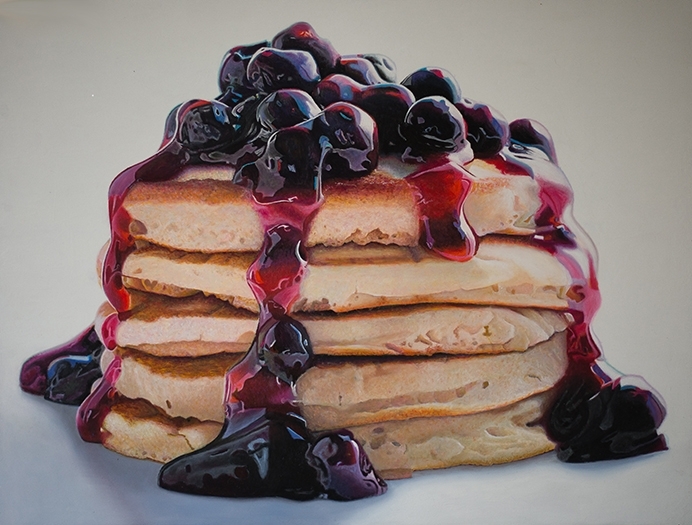 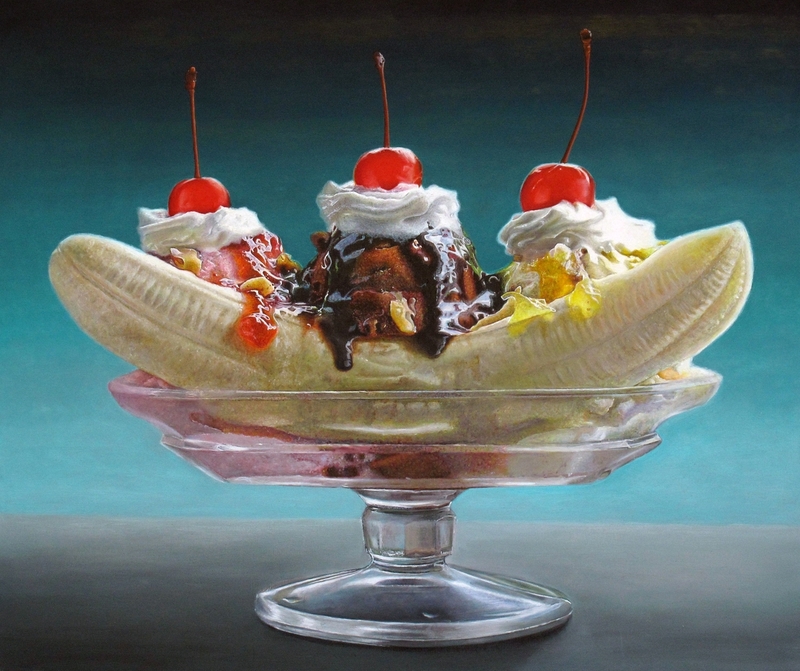 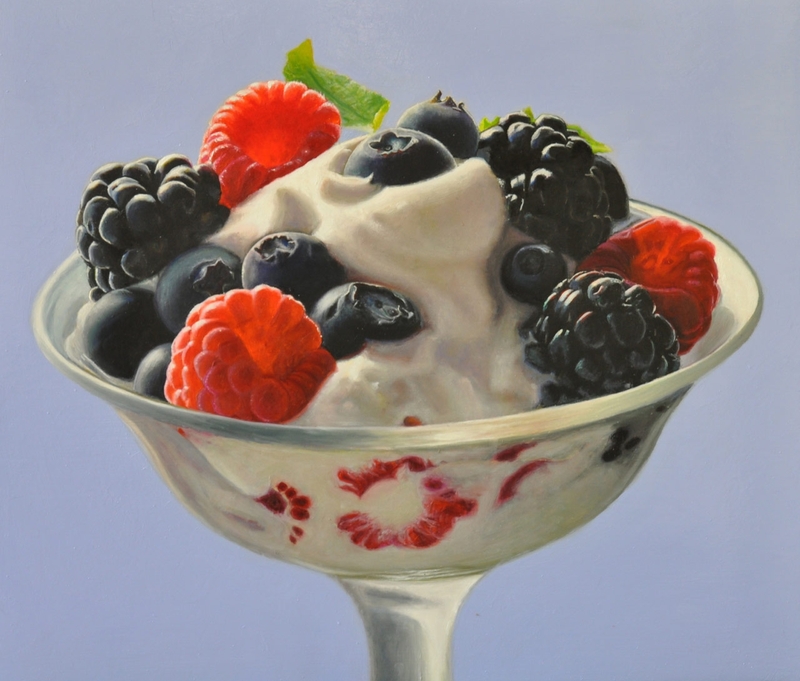 Mary Ellen Johnson is an American Artist that uses food as her subject matter. 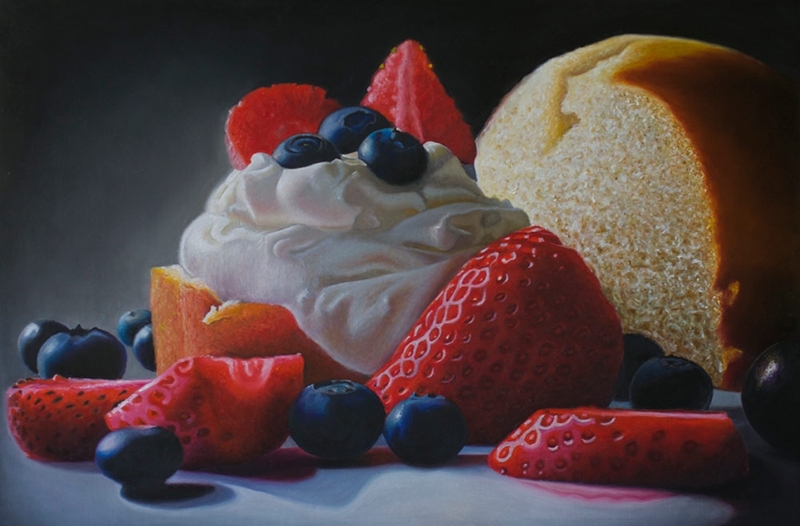 When asked why specifically this genre, She said that she was fascinated with the relationship people have with food and the memories it evokes in us, when we see or smell a particular dish. 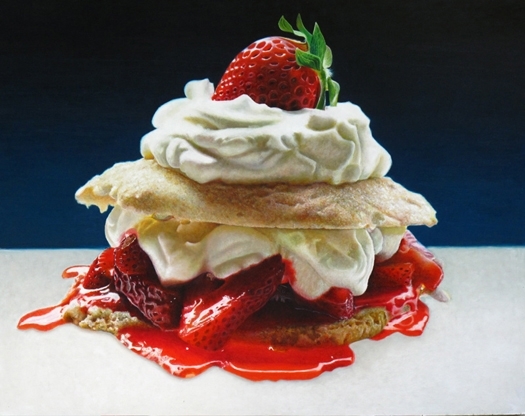 Johnson paints images of savoury and sweet foods but, I have chosen for this post the most indulgent foods she paints, enjoy the feast. 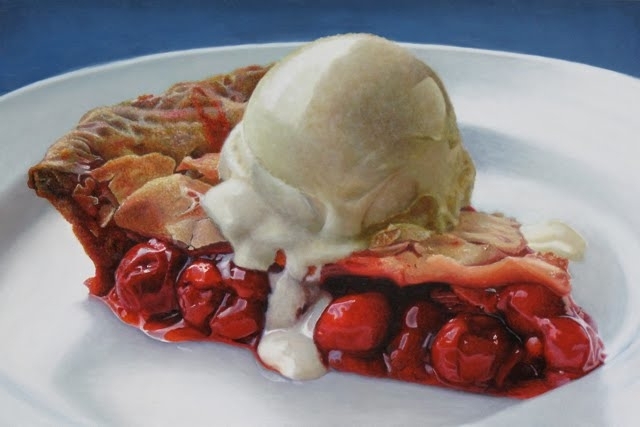 Cherry Pie A La Mode. 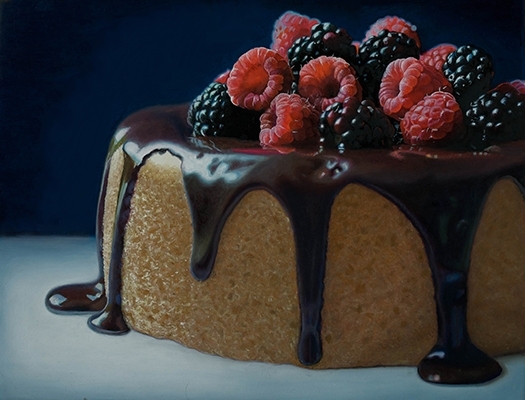 Chocolate Cake with Raspberries and Chocolate Cheescake. 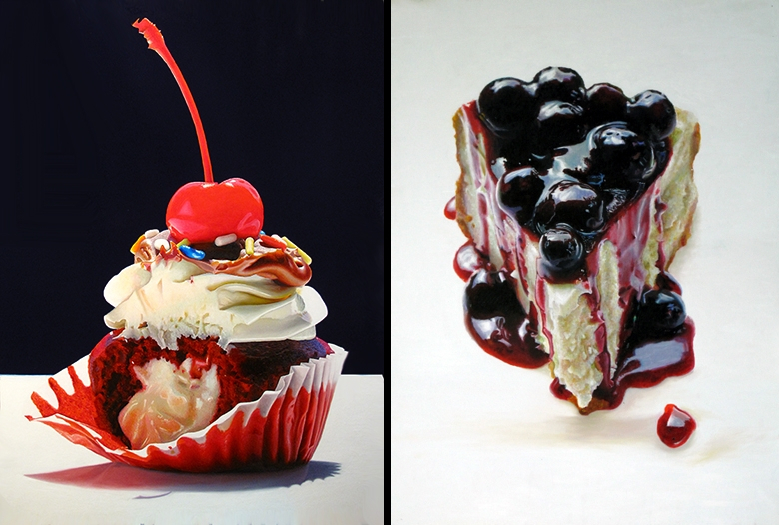 Cream-Filled Cupcake and Blueberry Cheescake. 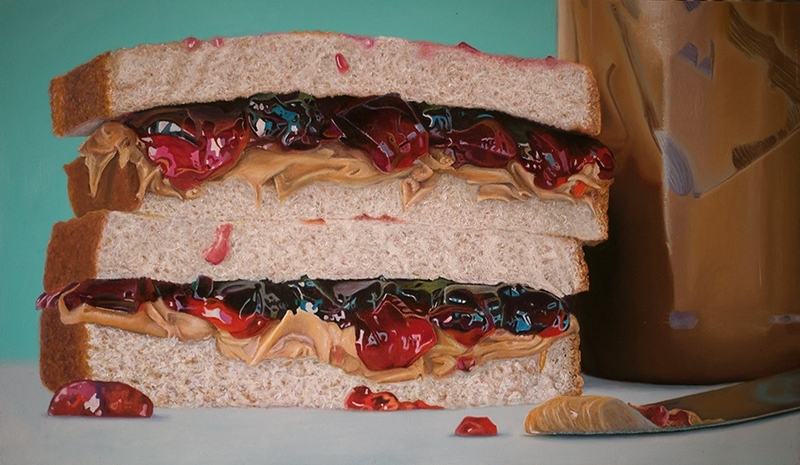 Peanut Butter and Jelly & Peanut Butter Jar.